Many homeowners do not know they are at risk. When buying a new home, typically the owners purchase insurance to cover the structure, personal items and medical in case someone is hurt on their property. In most cases; however, the policies do not include flood damage. Standard policies do not cover damage caused by sewer backup or floods inside of your house, so you should buy a separate policy or endorsement to add the coverage to your home insurance policy. The typical cost is approximately $40 to $50 per year. Unfortunately, we have seen new homeowners who have flood insurance with the bare minimum coverage, or their policy was limited. For example, Bob and Sue had a separate flood insurance policy in addition to their homeowners insurance. Although the area they lived in was not known for floods or near a water source (lake/ocean), they purchased the minimum coverage “just in case”. Their policy was limited to $19,500 for damage to the house and $9,500 for the loss of its contents. Like many people, Bob and Sue figured it was enough insurance, and didn’t see any reason to spend more than they had to on insurance coverage. A few years later, the area that Bob and Sue lived was hit by a tropical storm and destroyed everything in the basement and garage. The water damaged all the walls, down to the wood studs. The electrical system was destroyed along with the furnace, appliances, furniture, and stored items. The damage added up to $80,000. 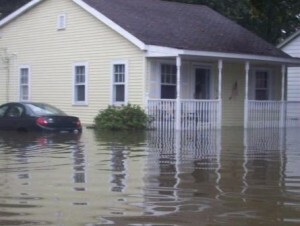 Homeowners are at risk of losing all their valuables from a flood and not able to recover from a loss. Its easy to protect yourself, and cost effective. You can buy flood coverage from MJM Insurance® of Fenton through the National Flood Insurance Program. The maximum coverage is $250,000 for replacement value of the structure and up to $100,000 (actual cash value) for your personal possessions. The cost for flood insurance coverage in low-to-moderate-flood-risk areas may range between $414 to $1,958; averaging around $650/year. Naturally, premiums run higher in high-risk coastal, riverside, and other areas. If your home is subject to other perils not covered by your standard policy, including earthquakes, hurricanes, and hail, you should fill the gap with additional separate policies. The agents at MJM Insurance® of Fenton will review your policy and ensure you are properly covered and completely protected. http://mjm.insure/wp-content/uploads/mjm_horiz_rev_logo_6-e1455229497132.jpg 0 0 Adam Majnerich http://mjm.insure/wp-content/uploads/mjm_horiz_rev_logo_6-e1455229497132.jpg Adam Majnerich2014-07-14 19:44:362015-12-28 04:41:47Does Home Insurance Cover Flood?